Expired 1mo ago . Last validated 3mo ago . Used 61 times. Michelle Peters I am validating that this deal works as described. Clara Vera Apply the promo code at checkout and receive the discount. This is a limited time offer. Helen Willis This promo code remains active and is available. 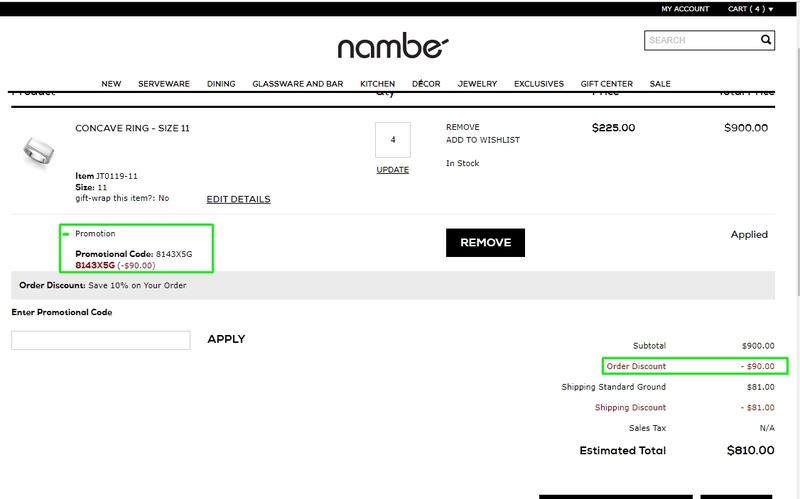 This is a sitewide offer, this code can be redeemed with any order, there is not exclusion of items and no minimum amount is required. 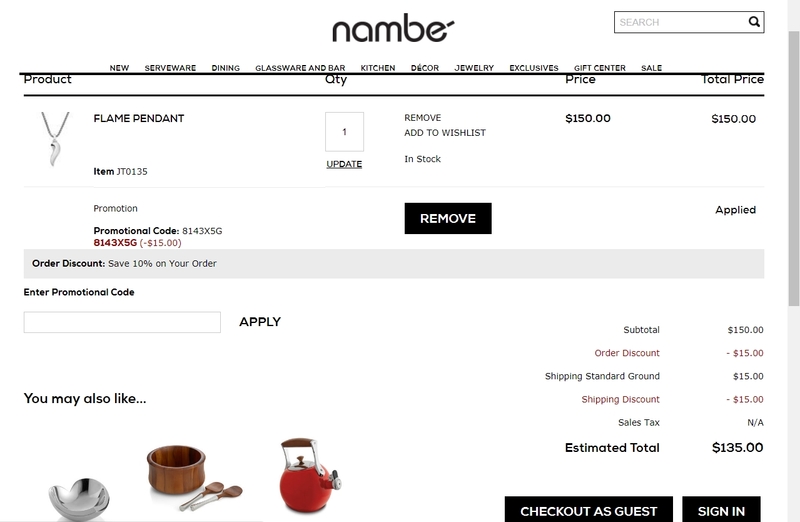 Once you have added the items to the shopping cart, click on checkout, then you will be able to enter this promo code. cheop I am validating that this deal works as described. 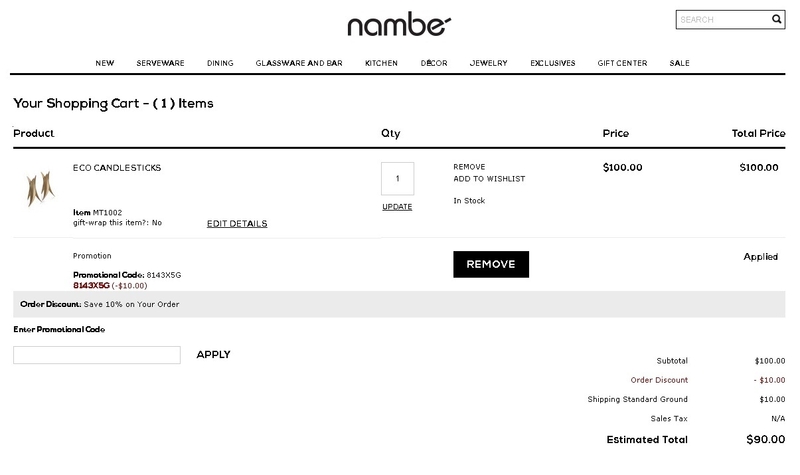 Good deal, add your item to cart, enter promo code and get 10% Off Your Order at Nambe. Juan smith I checked the promotional code and it works correctly. 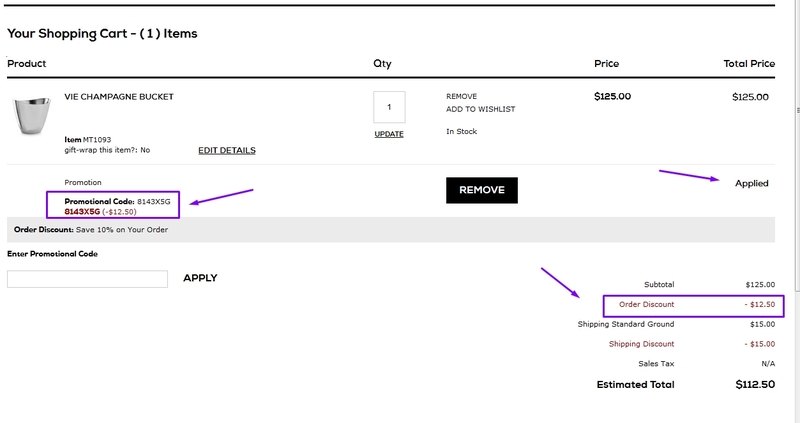 Choose the items you want, go to the box and apply the code to get the discount. This is an incredible deal.